This is both. Living in the middle of Florida I have so many incredible experiences available to me. 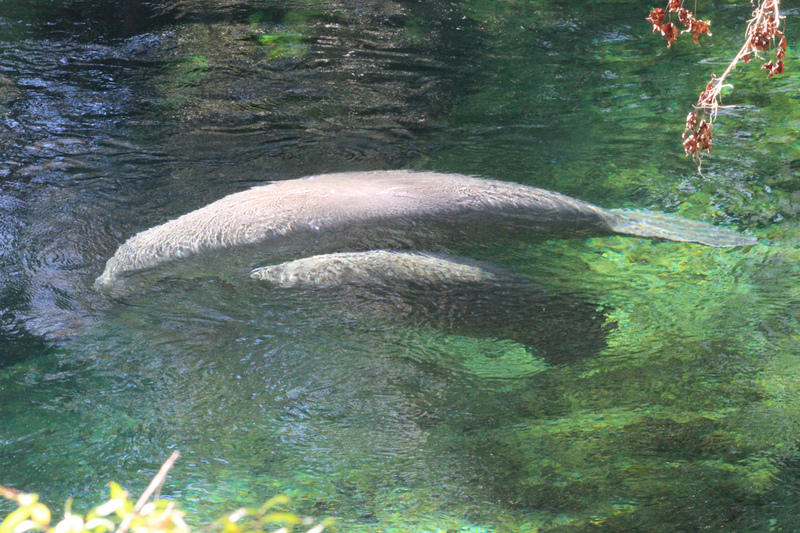 Every winter, usually in January, the manatees come in from the ocean and open rivers to the springs where the water remains 72 degrees year round. Here they wait out the cooler months drifting and bobbing in the crystal clear waters of Blue Springs. They will stay until the weather is consistently warmer, usually sometime in March. Until that time up to 300 sea cows can be found in a very small area, making viewing and appreciating their gentle natures all the easier. This photo was taken on January 23, 2014. Click here or more Water or Winter photos by others. What a wonderful sight, Allison. Such a wonderful watery photo for this week’s challenge. Thanks for participating.